CHOO CHOO! The Swayzie Express is pulling in to Sunnyvale! 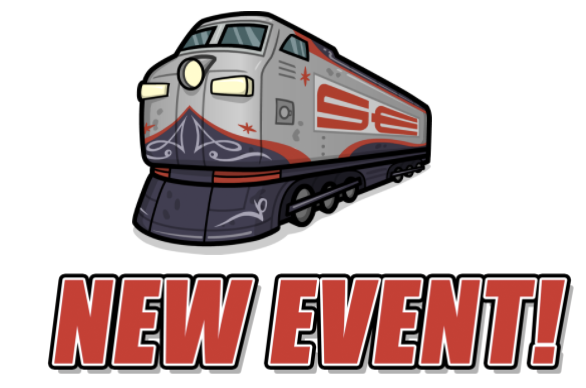 We have another event pulling into Sunnyvale station, boys! Starting on July 26th, the event will run for 4 days straight. We recommend pairing the event with some chicken fingers, pepperoni, and liquor. The Swayzie Express is up for grabs! We all know that smokin’ dope and playing with model trains is a good time. This little steam engine isn’t just good for passing bong tokes, it also speeds up EVERY business in your park! Deeeeeeccccent! Almost as decent as Julian’s dirty dancing moves! The event begins on iOS & Android on Thursday, July 26th at 2PM PST and runs for 4 days. Stay tuned for more degenerate antics from Trailer Park Boys: Greasy Money!